In August, the CPD Strategic Research team will be joined by Eli Vitulli, a two-year fellow from the Mellon/American Council of Learned Societies (ACLS) Public Fellows program. 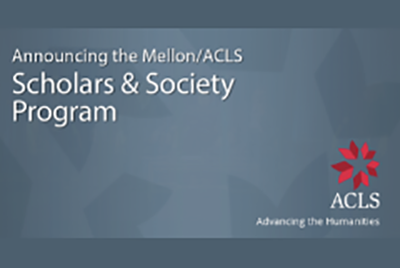 The Mellon/ACLS Public Fellows program places PhDs in the humanities or social sciences with nonprofit organizations and government agencies working in the fields of policy, civil rights, arts and culture, and the media. CPD is one of 24 organizations nationwide selected as a partnering host organization for the 2018 Public Fellows cohort. The program is funded by a grant from The Andrew W. Mellon Foundation. Eli comes to CPD with a Ph.D. in American Studies, and a minor in Feminist and Critical Sexuality Studies, from the University of Minnesota. His academic research examines social justice movements and the impact of state institutions and violence--especially the US criminal legal system--on marginalized communities, with an emphasis on queer and trans people, disabled people, and people of color. He is also currently working on a book about the history of US prison and jail practices regarding the management of gender nonconforming and trans people from the early twentieth century to the present. Eli has taught in Gender, Women, and Sexuality Studies and American Studies departments at Grinnell College, Mount Holyoke College, University of Massachusetts at Amherst, DePaul University, and University of Minnesota. In addition to his academic work, Eli has been involved in grassroots organizing and nonprofit work for the past 15 years. His work with the Transformative Justice Law Project of Illinois (TJLP), the CeCe McDonald support committee, the Sylvia Rivera Law Project, the National LGBTQ Task Force, and Not In Our Name included conducting research, developing communication materials for the community and media, organizing community and fundraising events, helping develop organizational infrastructure, and providing support for community-based campaigns. At CPD, Eli will join the rest of the research team in meeting the strategic research needs of all our campaigns and affiliates. Welcome Eli!